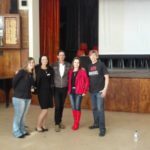 Rand Aid’s Wedge Gardens substance abuse treatment centre recently teamed up with New Hope, a secondary care halfway house in Illiondale, to arm Vryburger High School students against addiction. 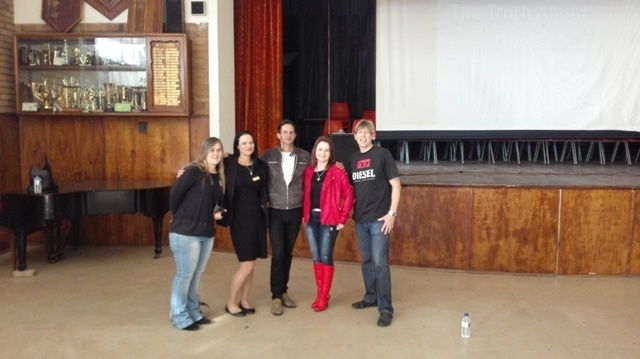 The awareness initiative was organised by Edenvale’s Newday Church. Wedge Gardens social worker Karen Griessel says the main idea was to educate the learners of the Germiston school about the realities and dangers of drugs and alcohol. “Unfortunately, the use and abuse of substances has become more prevalent in our society,” she says, adding that the learners listened with intense curiosity to media reports, testimonies from addicts and psycho-education presentations. “I gave them information regarding the process of addiction and its development stages, moving from experimentation to the reality faced by many high school learners of chronic dependence and full blown addiction, which leads to jail, institutions or death. “As a passionate person in a helping profession, I have seen the worst side of this disease [addiction] and cannot overestimate how important it is to reach out to younger minds in the hope that begin to understand the devastation and decide not to open the door to substance abuse and addiction,” says Karen. She says Jonathan Isaacs from Newday Church is ‘on fire for evangelism in the community’ and plans to hold similar outreach programmes at other schools. For more information, call Wedge Gardens on 011 430 0320.